Are you ready for some FOOTBALL? 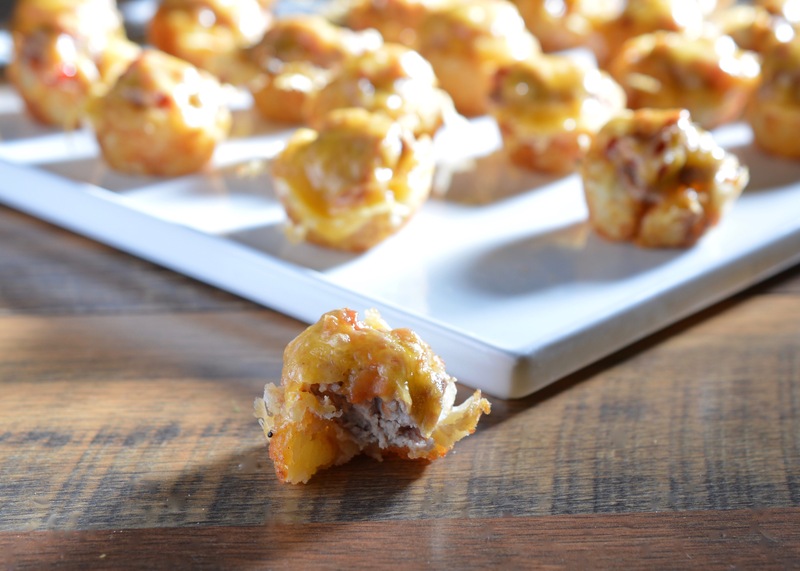 Super Bowl is almost here and this little bite is bound to please your crowd! Food, beers and bets! We are all going to crowd around TVs and watch the spectacle that is Super Bowl LI this Sunday. Whether you are at home with your family, at a pub with a crowd or at a house party with friends, enjoy yourself and do so responsibly… download that Lyft app! 1 pound of ground meat. I used turkey, if you use beef, make sure it’s as lean as possible or you will have very greasy burger bites! 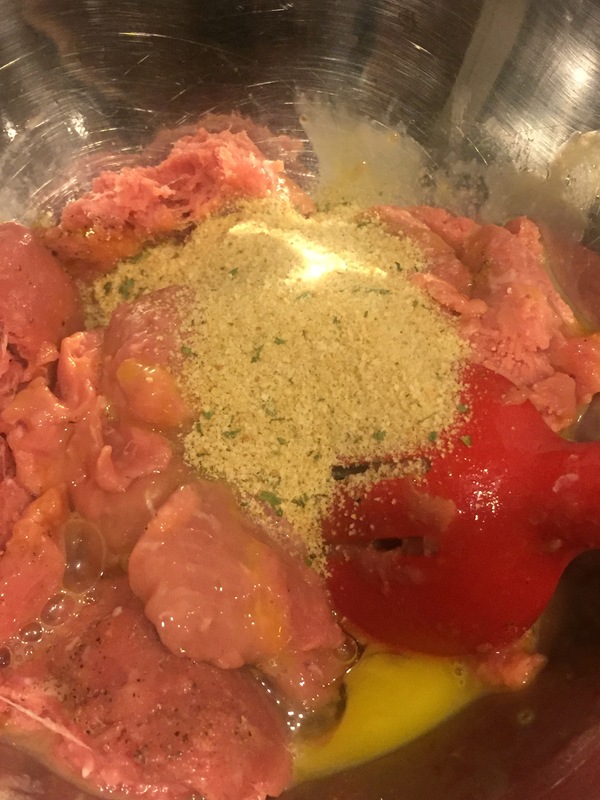 In a large bowl, mix meat, egg and bread crumbs until combined. Add seasoning and mix again. 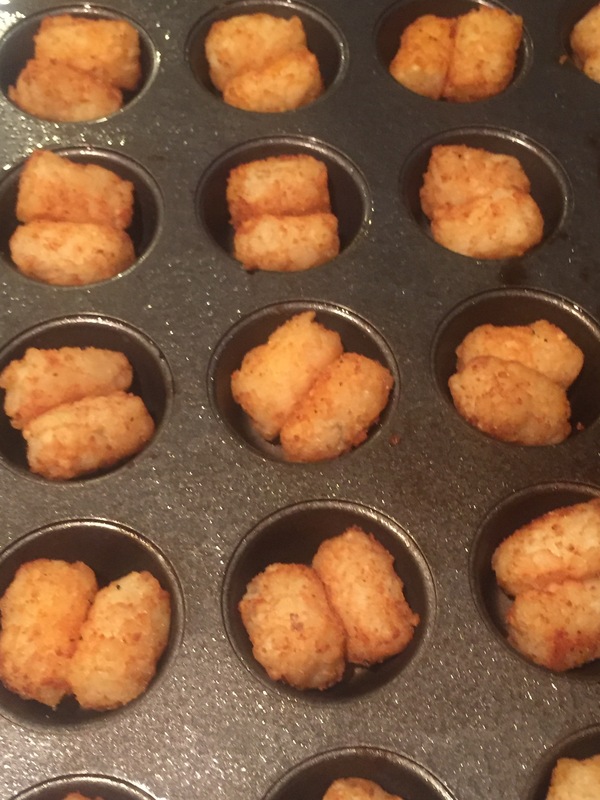 Place two cooked tots in each opening of a mini muffin tin. Smash them down with a melon baller. 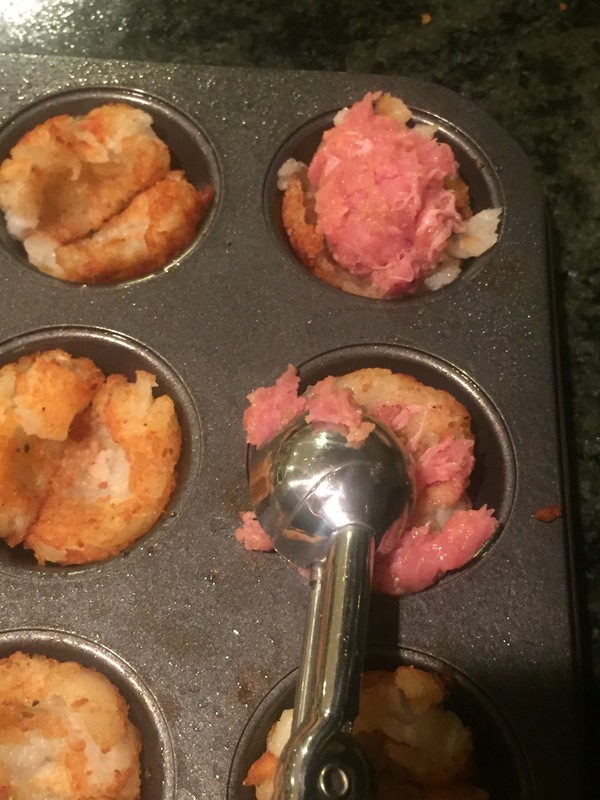 Using a small scoop, add ground meat mixture to the tater cups. 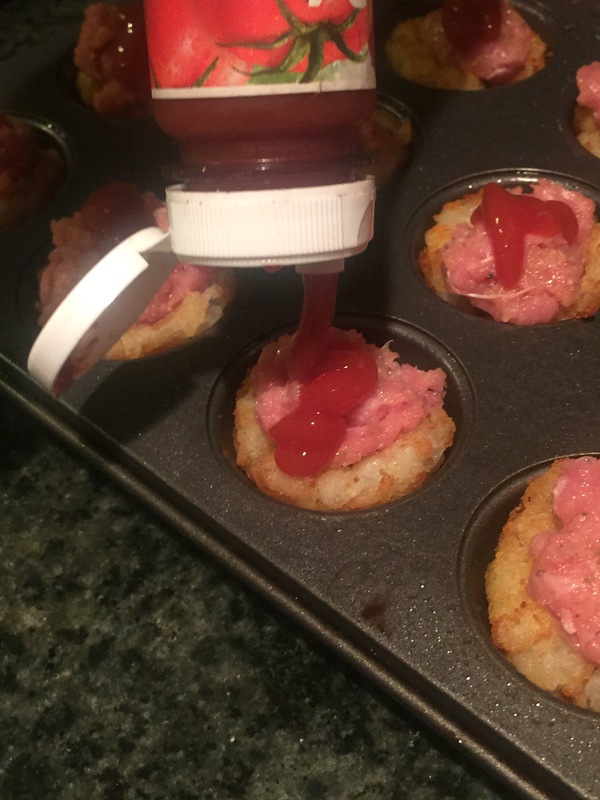 Add a dab of ketchup to each and top with shredded cheese. 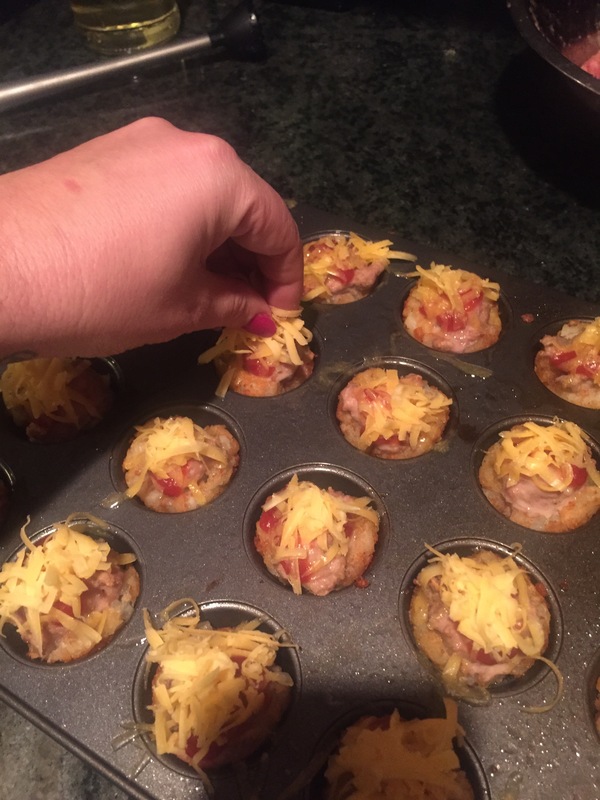 Return to oven for an additional five minutes or until cheese is melted and bubbling. 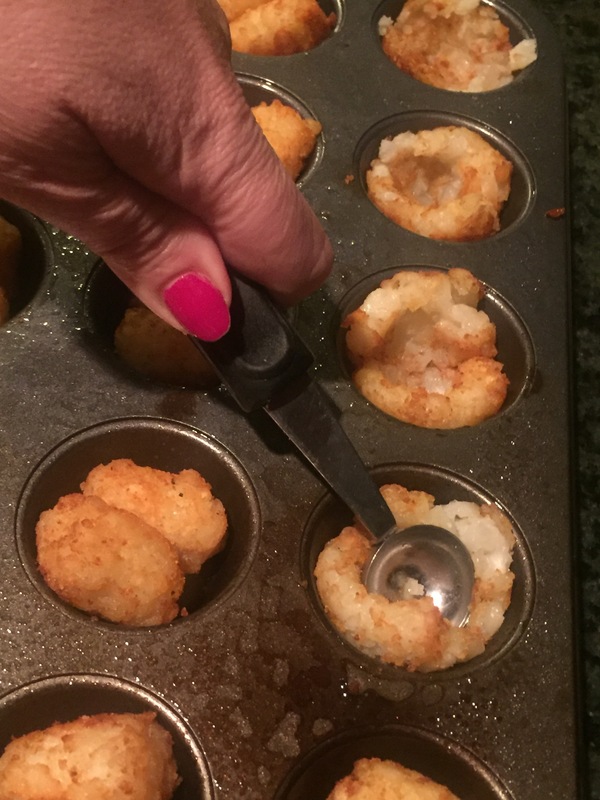 Serve these right out of the oven and place bets on how fast they’ll disappear. Swearing Mom out.